Blood components such as platelet and plasma play a critical role on in the treatment of a number of diseases or while surgical interventions or in case a patient needs to be revived from active bleeding. A vast number of chronic diseases such as thrombocytopenia, haemophilia, haemorrhage, and a number of autoimmune diseases require the regular replacement of plasma in patient’s bodies or frequent blood transfusions. The high patient base of these and other diseases whose treatments involve the use of blood and blood components makes the platelet and plasma market a critical component of the world healthcare sector and the market has expanded at a steady pace in the past few years. Technological advancements pertaining to the separation of individual blood components, preservation of blood and blood components, and transfusion have all contributed to the healthy growth prospects of the market over the years. The overall growth prospects of the market over the next few years also look promising, a detailed account of which is presented in the report. The report also includes an analysis of the key factors that are likely to have the most notable impact on the future growth prospects of the market, including challenges, regulations, and trends. Some of the key factors that are expected to work in favour of the market are the rising prevalence of a variety of chronic diseases, treatment of which either require blood and blood component transfusion or surgical interventions. The vast rise in the prevalence of a number of neurological conditions is also likely to work well for the global demand for plasma. The market is also expected to be driven from a vast rise in voluntary blood donations across the globe, an active role of governments and non-profit organizations in promoting the need for the same, and increased funds being diverted towards the improvement of blood storage infrastructure in emerging economies. In the near future, the market is expected to benefit significantly from the rising demand for advanced therapies for the treatment of a number of diseases, rising investment from leading players into R&D activities pertaining to the treatment of chronic diseases, and increased funds towards the development of effective treatments for rare diseases. However, the market could be hampered due to the lack of proper storage infrastructure in some low-income countries, stringent regulations pertaining to the collection of plasma, and low affordability of blood component separation technologies and equipment in a number of countries across the globe. 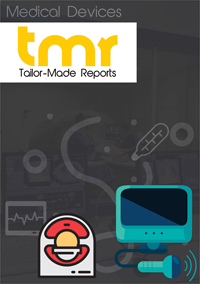 From a geographical standpoint, the global platelet and plasma market acquires a dominant share of its revenue from the North America region and the trend is likely to remain strong in the near future as well owing to the high expenditure on the treatment of chronic and neurological diseases in the region. The region is also home to a number of international as well as domestic organizations that are highly active in promoting the need for blood donation. Moreover, the well-established healthcare industry and high demand for advanced treatments to rare and/or debilitating conditions also contribute to a steady rise in demand for blood components such as plasma and platelet. The global platelet and plasma market has a number of companies that are mostly either affiliated with governments of respective countries, international healthcare organizations, or private hospitals. Companies mostly focus on the improvement of awareness regarding blood donation among people as there is no possible substitute to blood or blood components as yet. Some of the leading vendors in the market are Indian Red Cross Society, America’s Blood Centers, Spanish Red Cross, Blood Centers of America, Saudi Red Crescent Authority, European Blood Alliance, Japanese Red Cross Society, Red Cross Society of China, American Red Cross, and South Africa Red Cross Society.